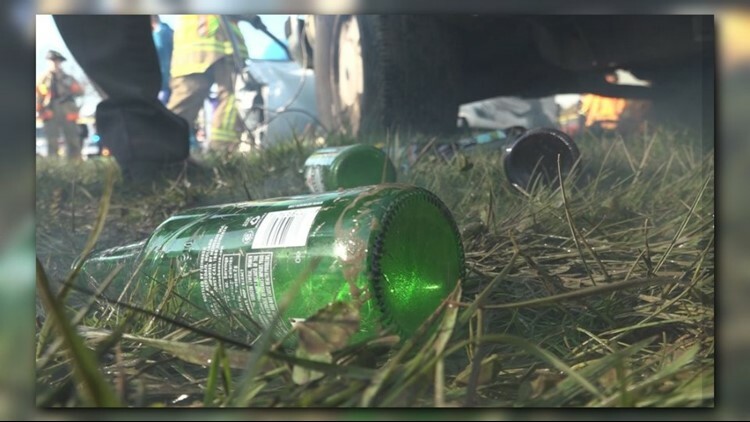 Cloverleaf High School is taking the anti-drinking and driving lesson to the next level, with an elaborate program involving everything from first responders to a funeral home director. LODI - May is Prom Season and every year around this time, police and fire departments do what they can to try and teach students the dangers of drinking and driving. 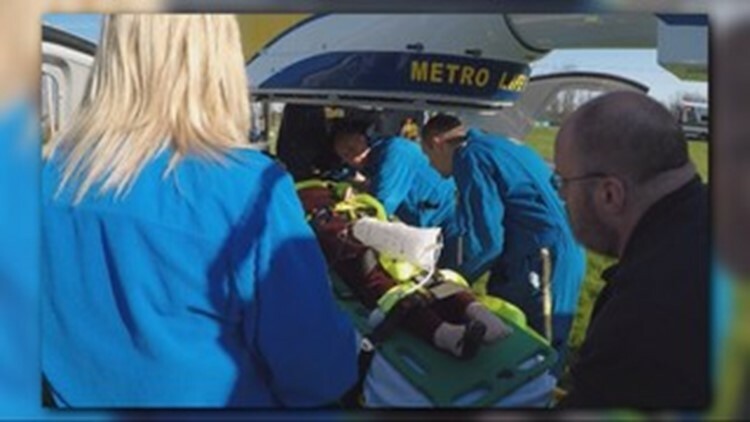 One group here in northeast Ohio is taking the lesson to the next level, with an elaborate program involving everything from first responders to a funeral home director. Reilly Cipullo, a senior at Cloverleaf High School, volunteered to play the drunk driver responsible for the mock crash. Decked out in a tux and complete with fake blood and cuts, he feels the message was well received. “I could definitely see the shock on their faces,” says Cipullo. Cloverleaf junior, Olivia Sitko, was one of the students standing just feet away as first responders rushed on the scene of the two-car crash to try and save her classmates. It’s a car crash that happens every 2 years, like clockwork. 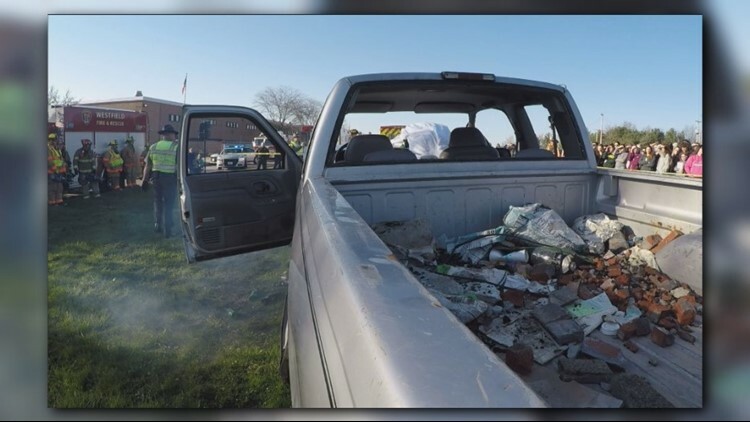 Orchestrated by the Westfield fire department and involving everyone from the State Highway Patrol and police to Metro Life Flight and the County Coroner. Three months of prep work and planning aimed at making the Cloverleaf juniors and seniors think twice before drinking and getting behind the wheel. “We make it as realistic as possible. I think when you can almost tough it and feel it and see it in front of you, it’s more impactful,” says Westfield Fire Department’s Kevin Rych. “You think of what if that was me or the effects that they have on other people,” adds Sitko. The mock crash is very thoroughly planned out, but organizers take it a step further by bringing in the Medina County Magistrate and the director of a local funeral home to explain to the students how this one decision has rippling consequences. “When you go and talk to the funeral director, they tell you how much you affect your parent’s lives. They get all of your favorite belongings and put them in the coffin. That really hit me hard,” says Sitko. “We have been very fortunate. For the last 4 or 6 years, we haven’t had a call because of a prom accident. It’s been successful at this point and we’d like to keep it going that way,” says Rych.